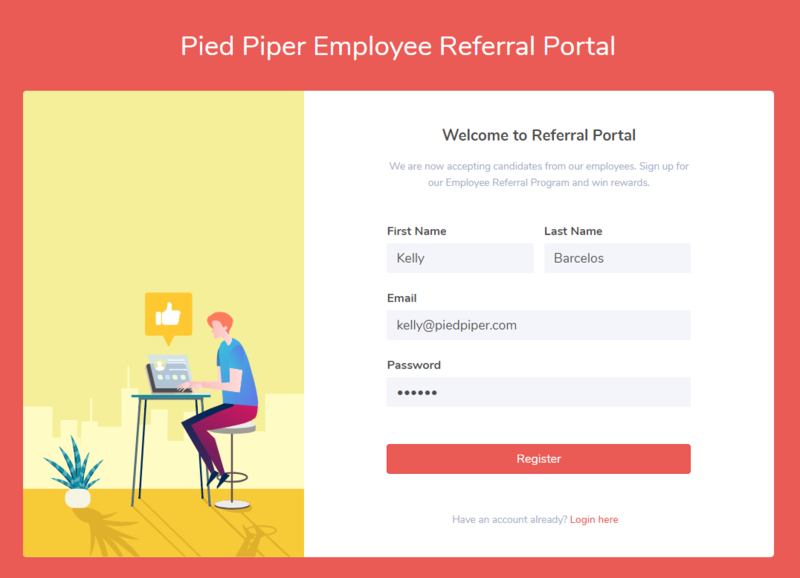 How can I refer candidates using the referral portal? You can now recommend candidates for the open positions in your company by signing up with the referral portal. Registering for the referral portal is an easy process. Your account will be created and an account activation and verification email will be sent to you. Account confirmation is mandatory in order to be able to login to your referral account. Once you login to your referral account, you will be taken to your account dashboard. The dashboards gives you insights into your referral efforts. Towards the left-hand side, you will find your personal details like your email address and phone number. In addition to this, you will find your referral code. You can use this code to share the job openings on any platform you wish. Towards the right-hand side, you will find Recent Activity section. It shows you the number of referrals done and views received in a graphical format. 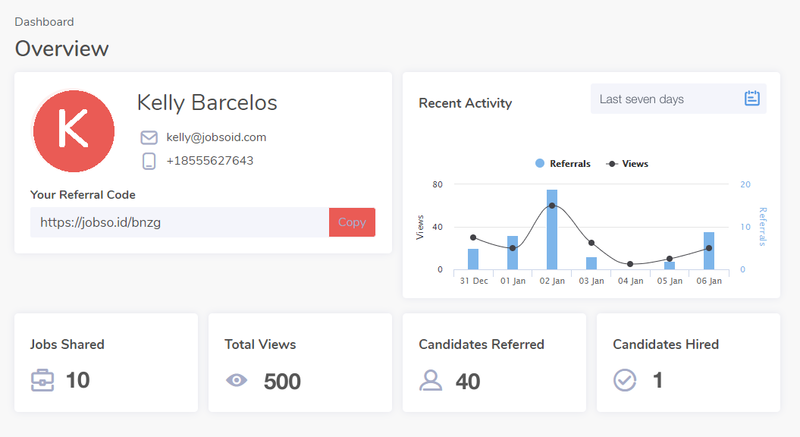 As the name suggests, the four cards - Jobs Shared, Total Views, Candidates Referred and Candidates Hired, give you the exact figures of each respectively. The Job Shares page gives you a list of available job openings. You can sort these jobs on the basis of their posted dates or names in ascending or descending order. 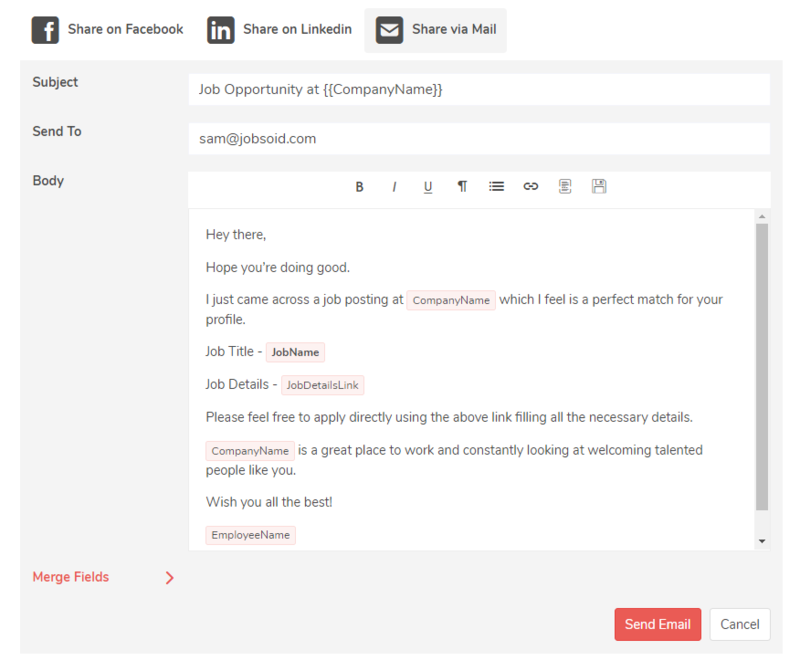 As the name suggests, you can view the list of all the candidates you have referred for the job positions. You can view the status of the applications of referred candidates anytime. 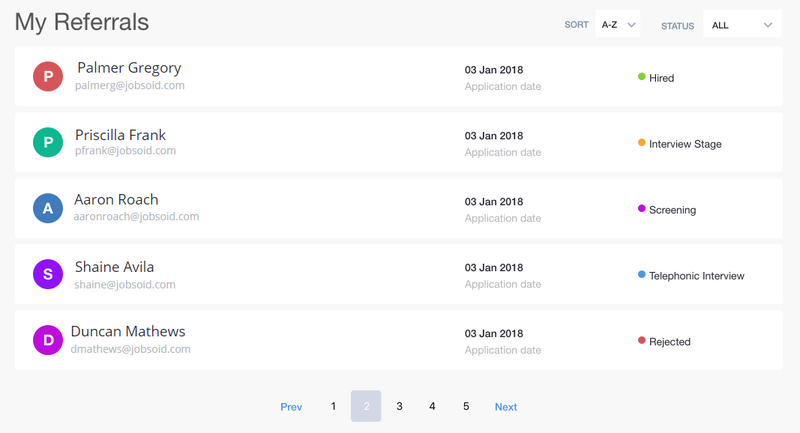 You can also sort the candidates based on their application date or name.